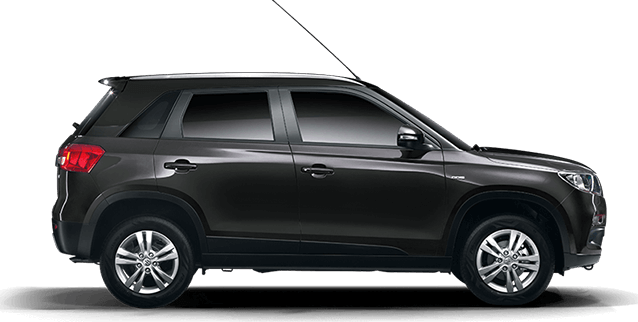 The all new Vitara Brezza from Maruti Suzuki is available in 6 different colors and is available in 2 form factors – Mono tone and Dual tone colors. The Dual tone colors are available in ZDi+ variant only which is actually a combination of dual colors on body and roof. 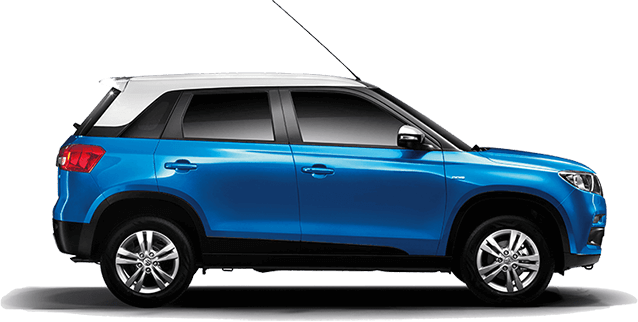 Now Maruti Vitara Brezza is officially available for purchase and there are 6 colors available in single tone format and 3 colors available in dual-tone form. Following are the available color variants in the mono tone form : Blue, Red, Yellow, White, Silver and Grey. 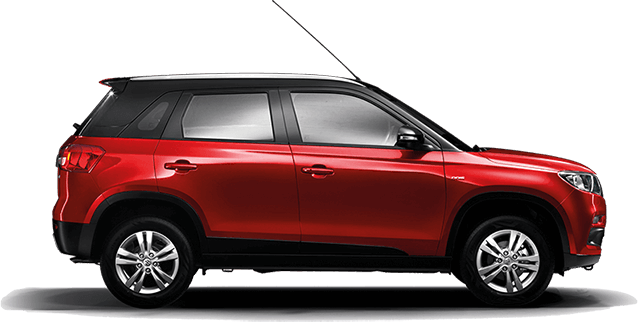 Brezza in red is the character color which has been used in various promotions and TV commercials produced by Maruti Suzuki to promote the latest Vitara Brezza brand. Maruti Vitara Brezza in yellow / orange looks pretty adventurous. Following is the Maruti Vitara Brezza car in yellow color also known as “Fiery Yellow“. 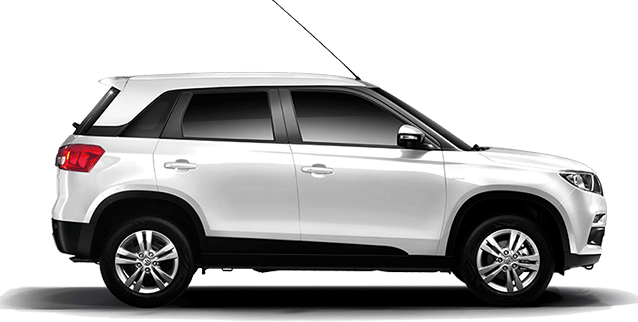 Get Maruti Vitara Brezza for Test Drive! Provide your details so that we can arrange a test drive of Maruti Vitara Brezza for you at your city! While Maruti Vitara Brezza is available in multiple variants like LDi, LDi+, VDi, VDi+, ZDi and ZDi+ , the ZDi+ variant is the top trim version and the dual colors are available only for this variant. The Vitara Brezza ZDi+ is the top trim and is going to be the most expensive trim among all others. There is actually no official word on the price of Vitara Brezza – the price is expected to be in the range of Rs 7.5 lakhs to Rs 12 lakhs. Under the hood, Maruti Suzuki Vitara Brezza will be powered by 1.3-litre diesel engine that is capable of churning out 90bhp of power with a torque output in the range of 210Nm. The AMT ( Automated Manual Transmission) version is expected in the diesel variant of Vitara Brezza.